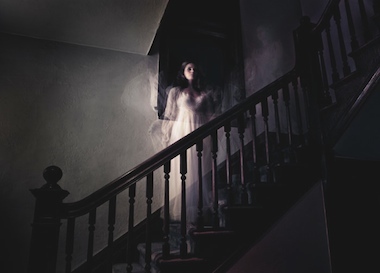 Firstly, much ghostly activity is actually negative turbulence that builds up from the people who live in the house. This can come from thoughts, words and actions…such as having arguments with others, feeling depressed, crying a lot or illness. Some houses hold it more than others due to the way light flows in the structure or due to what kind of rock the house is built over. 1. Get some copper wire and twist several strands of it together while you are thinking about grounding out the negativity in the structure. You want to make four separate pieces of at least 12 inches in length. Then go outside and at the corners of your building, tack or nail one to each corner of the foundation (even if its a brick foundation) and stick the other end of it down into the ground. (If you live in an apartment try putting it behind a bush or a planter or something so as not to weird out the neighbors. However if you cannot hide it, don’t worry, humans in general are unobservant and if you do it after dark they will take no notice of it the next morning. Begin in the east and work COUNTER-clockwise until you finish in the south….remember, these are for grounding energies OUT, not for bringing energies UP. 2. You want to smudge the house or apartment COUNTER-clockwise beginning at the highest point and moving to the lowest point….saying something like “I banish from this home all wayward negativities, any and all spirits and elementals of ill intent and I protect this home from prying eyes, both incarnate and astral. Then, as you continue saying this, walk the energies to the door…cast them outside and shut the door on them. 3. Place a line of sea salt from left to right across all windowsills and entry doors. (Don’t worry if the kids or the pets get a hold of it…it will not hurt them) A note: some mystically person will eventually tell you to use Black Salt…DON”T…you will end up casting yourself out of your home and that can be dreadful if you haven’t planned for it. This is sometimes also called “place memory” since it can happen in other places besides houses, such as battlefields and hospitals. It is a phenomena that occurs when something of great emotional strength and depth happens in a place. This can sometimes create an imprint, a type of recording, upon a place. Explaining how house memory works is difficult but a simplified explanation is that when conditions are exact to those that occurred during the original episode the recording will replay. This usually means the light within the place, the temperature, the time of year, the earth magnetics…any number of factors. One can usually discern house memory from other phenomena by the fact that the spirits seem to be doing exactly the same thing in exactly the same part of the house every time that they appear. So if you always see a woman in an apron cooking at your stove when you get up around dawn but don’t see her when you get up a few hours later, than she is most likely a house memory. Perhaps this is what she was doing when she was at her happiest moment in her life, or her saddest. If there is a part of your house where you always think that you hear a scream and then someone running down the hall, and it only seems to happen in autumn or only around midnight, chances are that it is not a spirit but a house memory. Getting rid of house memory is generally a rather large undertaking. It is best to understand it as house memory (a phenomena that ha no will or intent) and live with it. But if you want to get rid of it, some strong measures are required. The only way to try and dispose of it (and I say try, because there is no guarantee of success) is to change the physical layout of your house in the area that is affected. remember that we are talking about light and energy flow here. So you need to widen the hallway, open it to a room at one end, board up the nearest window or move the staircase, move the stove in the kitchen, move the kitchen and switch it with the living room, etc..
My grandmother had a spirit that lived in her house, not a house memory but similar. He wasn’t tied to the house per se but to a specific room that had been his. Her attic was divided into two rooms and one had been his. She didn’t much mind him as he had been the friend that she had purchased the house for decades before. All he ever did was come to her at night and try to show her where he had hidden something in the basement. The family thought she was nuts and she left it at that. Then, in the 1980’s, she had a chimney fire that did some damage to the attic. When the insurance came through and the repairs were made they combined the two attic rooms into one big one. The day that they took down the divided wall the ghost disappeared and hasn’t been seen since. 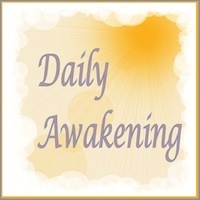 House memory is very similar, you gotta change its pattern by trying to figure out what energy recorded it…light, heat, magnetics, human emotion…and then take steps to change that particular energy flow. If you see a man come screaming through the living room whenever you and your husband fight in that room…there you have it…quit fighting or do it in the garage. Sometimes house memory works in reverse. You decide to do some remodeling. For some reason you really want to create an open walk-through form the dining room into the living room with a little half-wall to either side, something you can set a vase on. The thought of it makes you feel all warm inside. After struggling to convince your other half you get the workmen into do it. A few weeks later the room is done and you sit there, in front of the windows, admiring your work but you realize that there seems to be a shadow of a woman leaning against one of those half-walls looking in your direction. You aren’t frightened though, she gives you the same warm feeling that you had before when thinking about the construction changes. What has happened is that you were reading the imprint left by a former house memory and have inadvertently changed the house back to its original layout, making the light flow between the two rooms as it did when this woman had leaned there, looking out the window, happily enjoying life. Another phenomena that may be going on in your home is that there is indeed a spirit of someone departed who is terribly unpleasant. Most are not of the type that will ever HARM you or a child but they might be in the hopes of chasing you away. This has very little at all to do with you or your family and so much more to do with the experiences that they had in their own life. Hopefully in this circumstance the grounding and smudging will help. One thing to avoid is sitting around and talking about the spirit while in your home, laughing about it or getting angry at it where it can sense this is only going to strengthen its behavior. Talking to it and more specifically putting your foot down is the best policy to begin with. Try not to speak in negatives such as “You will not disturb my sleep!” instead say “You will let me sleep in peace!” When you command a spirit or elemental you must MEAN it, with all of you will power. You can always try friendship and helpfulness…get a good spirit medium or psychic (like Moi) to come in and talk to it, see if they can discern its issues and help it move on. Calling in a spiritualist from any faith who knows how to handle banishments is your last resort, never do this straight off as it can be dis-jarring for both the spirit and witnesses to the banishment. There are so many other types of spiritual turbulence that one can experience in the home, work place, garden etc… Things like elementals, poltergeists and such. What I have written here is just a primer to the most common occurrences. I’ll write on some other related phenomena later. Til then you have my blessings.